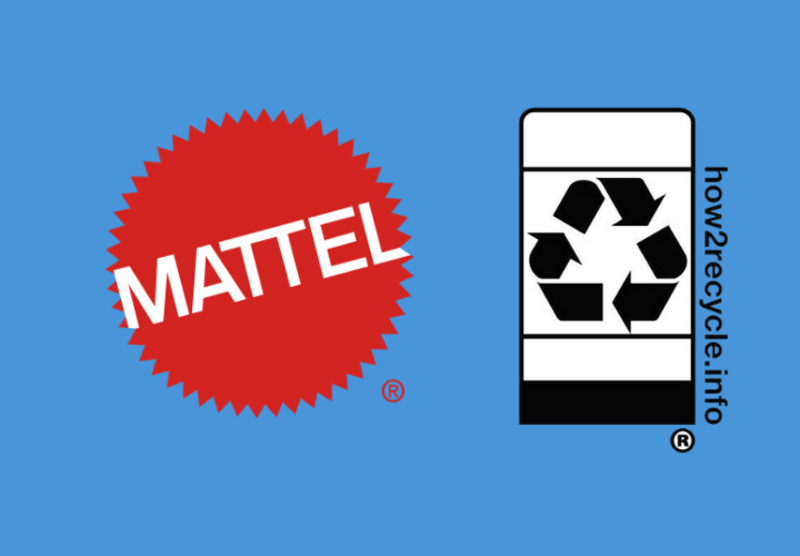 How2Recycle is happy to announce that Mattel is the newest member of its organization. Consumers will soon see the How2Recycle label on new Fisher Price Wonder Makers Design System Build Around Town starter kit in stores across the country. The label informs consumers that the inside bag can be recycled at Store Drop-Off (along with plastic grocery bags and dry cleaning bags), and that the outer box can be recycled curbside in most communities across the U.S.
Additional Mattel products will begin to carry the How2Recycle label starting in 2019, including Hot Wheels, Matchbox, and Barbie. The How2Recycle label is the only U.S.-based recycling label that is standardized across all packaging types and is the only label to offer comprehensive instructions on packaging recyclability in an easy to understand format. Thousands of brand name products already use the label and it can be found in retailers in hundreds of stores across the country. The program also provides custom recyclability assessments and offers all members insight into how the packaging may be de-designed to be accepted for recycling curbside in the U.S. The How2Recycle Label is a U.S.-based standardized labeling system that clearly communicates recycling instructions to the public. Over 100 companies and thousands of name brand products are carrying the How2Recycle label on products. How2Recycle is a project of the Sustainable Packaging Coalition®, a membership-based group that brings together business, educational institutions, and government agencies to collectively broaden the understanding of packaging sustainability and develop meaningful improvements for packaging solutions. For more information, follow us on Twitter @How2Recycle or go to our website at www.How2Recycle.info. for more information or contact how2recycle@greenblue.org.